The first thing you will notice here is the stylish interior, which gives the holiday home a wonderfully warm atmosphere. Enjoy the peace and the space of this magnificent, detached holiday home. The comfort and workmanship are on a very high level. For example, the floors are largely Belgian blue stone and there is floor heating, which can also used for cooling during the summer. It is also lovely outdoors. Around the house there's a magnificent garden, where you can enjoy the whole day in the sun or shade on various terraces. 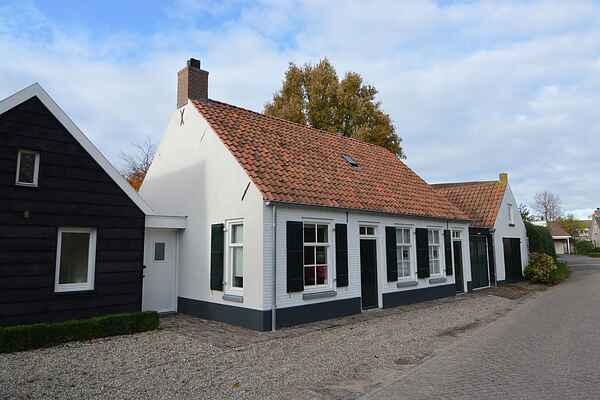 You are located right at the edge of the city of Oosterhout and only 750 metres from the pleasant centre. Oosterhout has a large selection of shops, restaurants and cafes at the historical market. You can go on beautiful hikes in the rural surroundings straight from the house. There are three monasteries in the area that you can visit. Opposite the house is a lovely petting zoo. For a day out, National park De Biesbosch is really worth it. You can rent a little boat at the marina of Drimmelen or Hank to explore this magnificent area. With children, the Efteling in Kaatsheuvel (15km) or De Beekse Bergen Safari park in Hilvarenbeek (20km) are highly recommended.